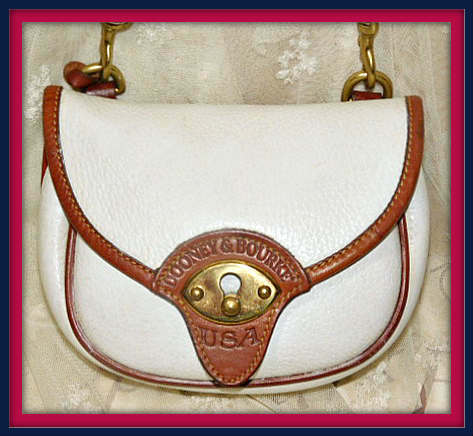 ● Dooney & Bourke red, white & blue cloth tag with serial # is not present as this bag pre-dates the use of this tag system. One way of knowing this is the use of the solid brass DB Fob instead of the brass duck fob which came later. ● Condition: Excellent in every way! NOT BRAND New; NOT LIKE NEW. Few small pen marks inside, otherwise near mint inside and outside. No damage, no odd odors or missing parts. A true Vintage Dooney Cavalry collectible! FREE SHIPPING ON ALL ORDERS TOTALING $100 OR MORE In USA!